GM CEO Akerson forms group within the nation's largest automaker to weigh threat posed by upstart Tesla. General Motors dwarfs Tesla Motors in virtually every way -- number of cars made, sales and profits. But that doesn't mean GM isn't worried about the upstart electric car maker. GM has confirmed that CEO Dan Akerson has formed a task force within the company to look at the impact from alternative automakers. The only alternative car company it named: Tesla. "He thinks Tesla could be a big disrupter if we're not careful. History is littered with big companies that ignored innovation that was coming their way because you didn't know where you could be disrupted," said GM Vice Chairman Steve Girsky in an interview published Thursday by the wire service Bloomberg. GM confirms the quote. GM could be learning from its past mistakes. It has paid the price for underestimating threats from upstarts in the past. All three big U.S. car companies -- GM, Ford Motor (F) and Chrysler Group -- did not pay enough attention when Japanese automakers such as Toyoto Motor (TM) and Honda Motor (HMC) appeared on the horizon with cheap, energy efficient imports. Today, Toyota has edged out GM as the world's largest automaker and is No. 3 in U.S. sales. Meanwhile, GM took a federal bailout and a trip to bankruptcy court in 2009 to survive the Great Recession. GM sold 2.5 million vehicles globally in the second quarter, while Tesla set a sales target of selling about 5,000 cars during the same quarter. 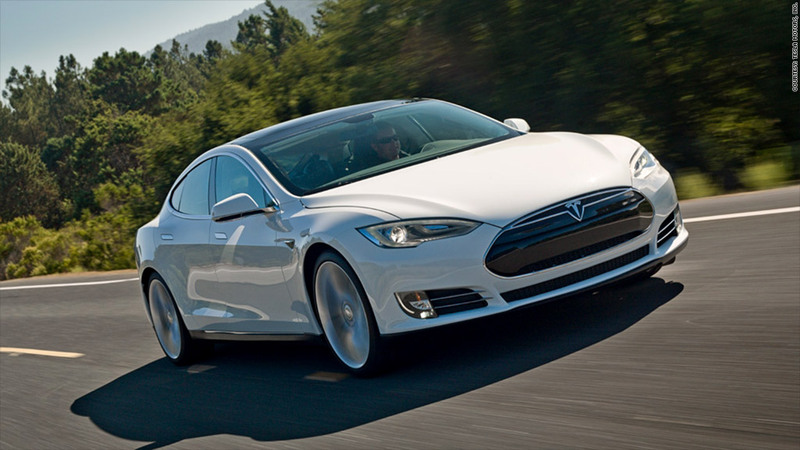 But Tesla's Model S has generated tremendous attention, including Consumer Reports calling it the best car it has ever reviewed. The share price of Tesla (TSLA) has more than tripled so far this year and the company now has a market value of $14 billion. GM (GM)'s market value is $50.6 billion. Tesla spokeswoman Shanna Hendriks said it has no comment on GM's committee.